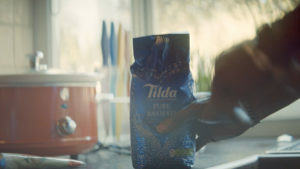 Leading British rice brand Tilda will unveil its biggest ad campaign since it was founded over 45 years ago as part of a significant investment in the brand. 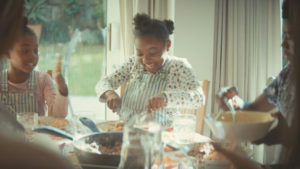 A much-loved brand purchased by at least a quarter of all UK households, Tilda’s campaign proudly celebrates their role at the heart of tables up and down the country. Inspired by the unique ability for food to allow us to explore other cultures, Tilda aims to encourage everyone to seek out, celebrate and discover the endless culinary possibilities that start with rice. ‘Tildalicious’ is simply the feeling of immense pleasure when food meets culture. The new TV creative, scheduled to air nationally from Saturday 20th October, is a vibrant celebration of all the cultures of the UK. 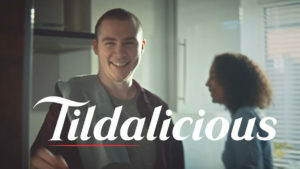 Tildalicious brings to life the culinary journey of different Tilda rice grains through the hands of real-life cooks from all over the world, via their UK kitchens. Through this journey, cultures collide, new techniques and flavours are shared in the wonderful chaos of real life. Along with the succession of close- ups of dishes from around the world, the word ‘Delicious’ is displayed in global languages. The advert has been created by advertising agency Havas London – its first work since being named Tilda’s UK strategic and creative agency. The TV ad will run from 20th October until the end of November 2018.